From swearing in the street right up to murder and everything in between. General crime covers a range of offences from swearing in the street right up to murder and every other offence you can think of in between. It is what we deal with successfully every single day. What nearly all of them have in common is the suspect is usually formally interviewed before a decision is made to prosecute. Remember you do not have to be guilty to need professional legal help at a police station. 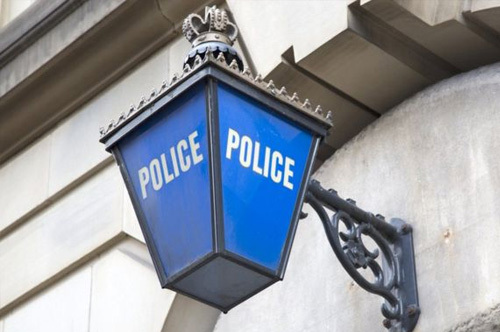 The fact you are being spoken to formally in a police station is reason enough for you to want to make sure you make the right decision about whether it is in your interests to speak to the police or not. Even though you may be innocent do not forget the police would not want to speak to you unless they believed you had done something wrong. No matter how rich or poor you are representation when being interviewed by the police is free and is a right that you can insist on. This is the case whether you are under arrest or attending as a volunteer. Moreover, even if the police want to interview you at your own home you still have the right to legal representation at your home for that interview and that representation is also free. Guilty or innocent why would you not have free representation from an expert when it is offered to you. It is like having a plumber offer to do plumbing work for you for free and turning them down because you think you can do a better job yourself! Agents of the state other than the police are also tasked with investigating criminal offences. The most common examples of these are Trading Standards officers investigating trading standards offences, The Department of Work and Pensions investigating benefit fraud, Revenue and Customs investigating tax credit fraud and you local authority investigating housing and council tax benefit fraud. Normally you will be asked to attend the local office of whichever government agency wants to speak to you. Don’t think that just because you are not at a police station that the interview is not a serious matter. How you conduct yourself in that interview may have a significant impact on the rest of your life. You have a right to have us attend with you when interviewed and our vast experience in these types of investigation is invaluable and having us assist means you can be confident that you have made the right decision about how to respond in that interview. You may be eligible for free representation in non police interviews away from the police station. We will advise you whether you are. If you are not we charge a fixed agreed fee that is sufficiently low compared to the benefit you get as to make the decision to pay for our time and expertise a simple one. Virtually all criminal cases begin in the Magistrates’ Court. About 90% of those cases will be finalised there too although some transfer to the Crown Court for trial or sentencing. Expert representation is very important for anyone facing proceedings so that they understand the court process and the strength of the evidence against them and can make the right decision on whether or not to plead guilty. Lack of representation can put you at a serious disadvantage. If you are made subject to any of these orders the impact on your freedom can be significant and the consequences for breaching them very harsh indeed. Don’t worry like with all other matters dealt with in the magistrates court we are very experiences in dealing with these applications and will be able to assist you in dealing with them adequately. The Crown Court deal mainly with the more serious offences. Having the right representation in these cases is of crucial importance. In many cases the wrong decision in the Crown Court can result in you serving many years in prison. What is important is detailed, thorough and tenacious preparation of your case. We are well equipped to do this and are also able to help you decide whether you require a barrister to conduct your defence or whether you would be better with a solicitor-advocate from the firm. Whatever your problem please contact us as we are happy to help.